After the disappointment of trying Taco Bell's new Grilled Stuft Nacho, we were skeptical about testing out another new Taco Bell item. How soon we forget how on point Taco Bell can be! 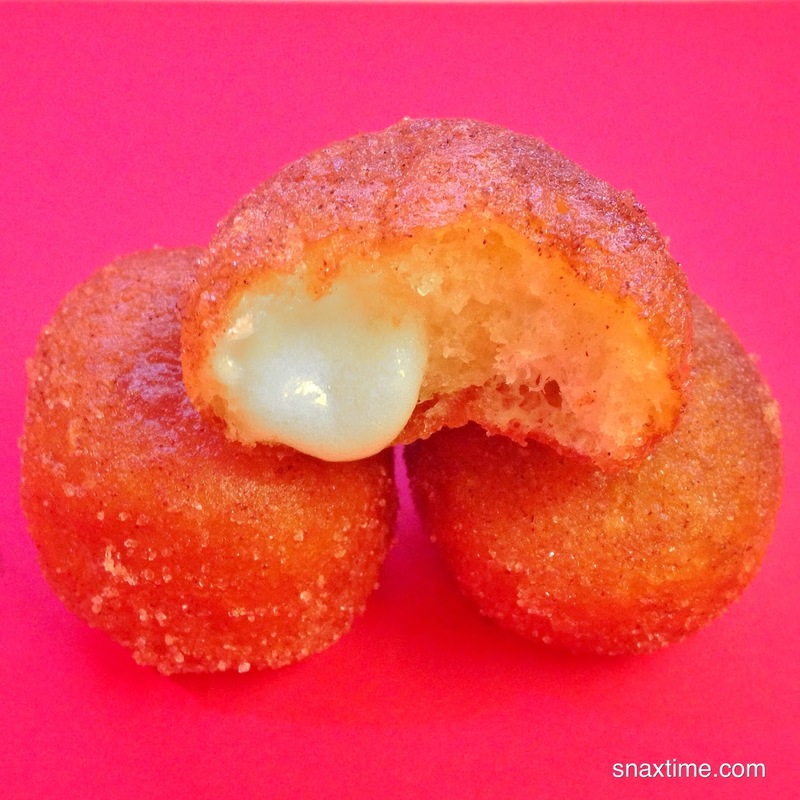 Taco Bell's new Cinnabon Delights are magical little frosting filled nibbles of heavenly fried cinnamon goodness. They come 4 to a pack, which is great since left to our own devices we could easily have eaten a baker's dozen! Each Delight is a perfectly fried mini donut rolled in cinnamon sugar and filled with gooey, warm sweet icing. 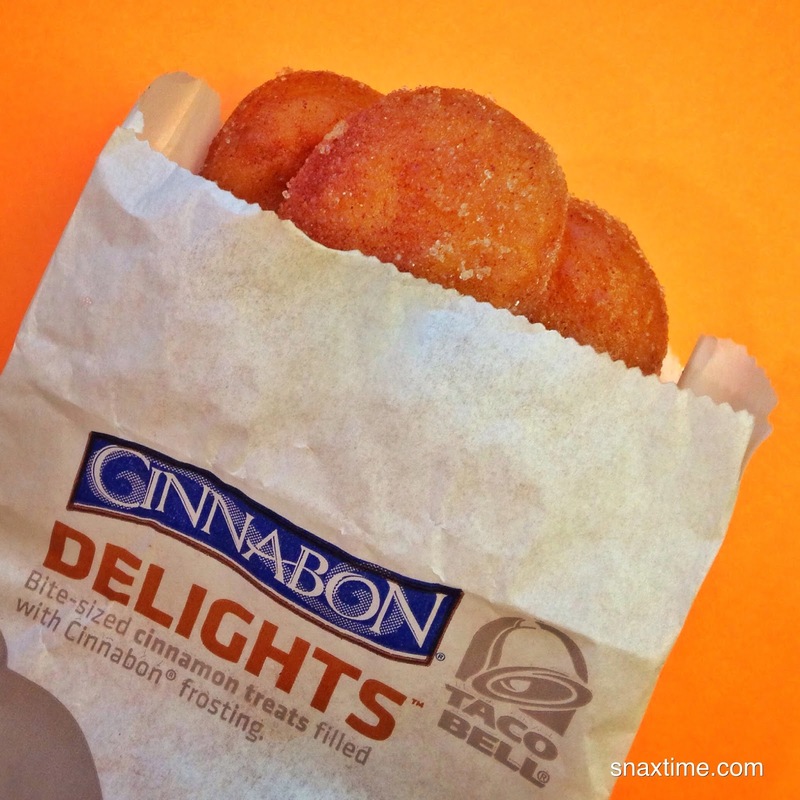 They're like churros fritters filled with dreams -- the ultimate dessert to top off that Double Decker Taco Supreme. We say grab these while they're hot.